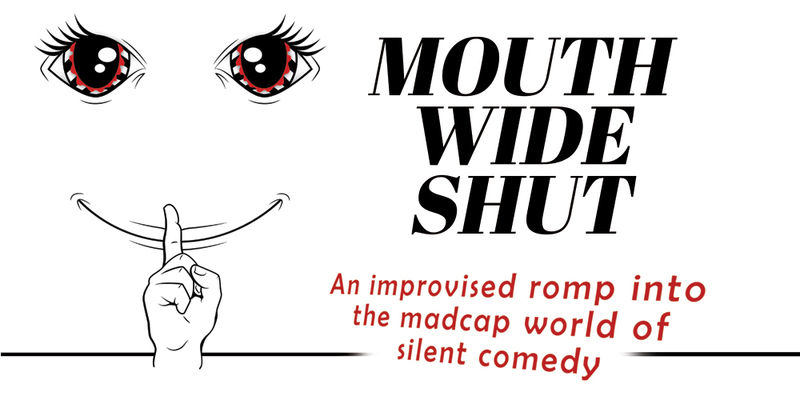 Mouth Wide Shut: A Silent Improv Show which is not silent, is a fun interactive show that only the producers of Seattle Theatresports could create by pushing the boundaries of physical humor. In Mouth Wide Shut, our highly skilled performers use your suggestions to create improvised stories, laughter, playful kinetic energy, and a few surprises using only physical humor…WITHOUT ANY WORDS. Every Friday and Saturday at Unexpected Productions’ Market Theater in Pike Place Market. Don’t say it, play it. Many thanks to UP's donors. So many people in the Seattle community have been so generous and we appreciate everyone who has contributed to make our theater a special place! Are you interested in learning more about Unexpected Productions or staying up to date on upcoming shows and events? Then sign up for our newsletter! © 2019 Unexpected Productions. All Rights Reserved. Theatresports™ is a trademark of Keith Johnstone and is exclusively licensed by the International Theatresports Institute.